Premium Shop: Can’t Stand The Heat? 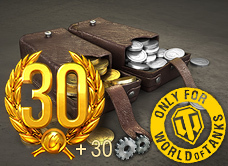 The following offer will be available in the Premium Shop from 18 September at 07:10 until 25 September at 07:00 CEST (UTC+2). 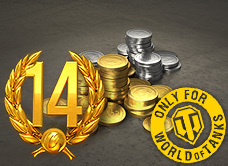 This offer will definitely interest anyone in need of refilling their treasury for the battles to come. 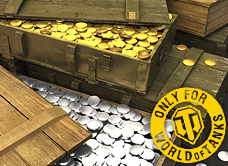 The Heat Shock bundle contains all the essentials and in reasonable quantities: 3,500, 3,500,000and a total of 30 days of Premium Account is just what you need to ensure a steady boost to your progress for the whole month. Furthermore, the package also contains a free bonus of 30 Automatic Fire Extinguishers. These premium consumables will ensure that your tank does not go out in flames, by reducing the chance of catching fire and automatically extinguishing it, in the event of a fire breaking out.